Trade finance deficit of small and medium businesses makes more than 1.6 trillion USD. There is no direct co-operation between business and capital! We will launch our blockchain ecosystem in November 2018. Anyone will be able to invest through it from one peso to millions of dollars in real trading deals. Thus there appears the cooperation! This will attract everybody! The system we are building on the TradeBacking.com model, will unite SMEs and investors in one platform within a single virtual environment, provide both the direct interaction and coverage of funding shortfalls. Based on our success with TradeBacking.com, we are building our blockchain ecosystem. We will launch it in November, 2018. The gap in Trade Finance for SME is valuated to be at the amount of 1,6 up to 5,2 trillion USD. In 2016, the volume of FCI participants factoring in the world amounted to 2.375 trillion US dollars, which is about 84% of the total world factoring. The increase was miserable, only 0.35% to the previous year's level. With global trade growing at an average of 3.7% per year, the growth rate in factoring is lagging far behind. Reports from different countries show, that for significant number of SME it is difficult to access traditional loans. Only in Germany the number makes up to 50% of total SME. Therefore we are entering an emerging market, that needs an ecosystem for millions of SMEs. SME buy side needs money to buy more goods and increase the turnover. SME sell side needs 100% prepayment to produce the increased amount of goods. To buy or produce more, both the buy side and the sell side needs a loan. But capital owners do not trust smaller companies due to inability to provide a 'proper' collateral. Therefore a 1.6+ trillion USD niche in the area of SMEs trade financing has been created. To address these Problems we invented the TradeBacking.com service. Since 2009, our team has been offering professional financial services to small and medium-sized enterprises (SMEs). And in 2016 we developed a new simple and clear service TradeBacking.com. 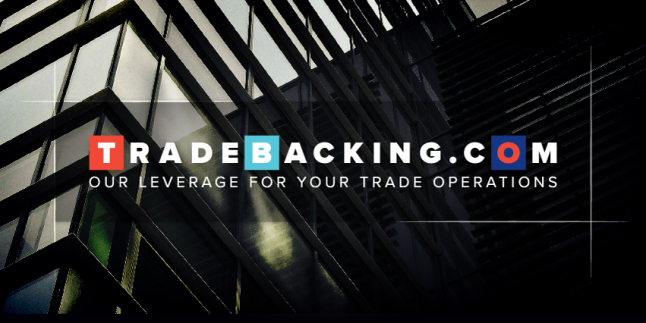 The TradeBacking.com gave our customers an opportunity to replace the full prepayment to a partial one. They received an opportunity to import more goods and develop their business, as their funds that could have been "frozen" in long-term deliveries, stayed free. We mainly fund deals in the amounts of up to 500,000 Euros. The problem of collateral has been solved through goods redeem. All deals are transparent and supported by clear reporting. TradeBacking.com provides secure deposits for investors on one hand and a convenient financing solution – on the other hand. The service combines the advantages of credit, factoring and letter of credit and is being provided through trading. And now we are moving our service to the next level of a blockchain ecosystem, where buyers, sellers and investors will interact directly. We will launch it in November 2018. Anyone will be able to invest through it from one peso to millions of dollars in real trading deals. The project does not have direct competitors. There are indirect competitors that tend to become our partners in the future. Such indirect competitors are p2p lending platforms, loan originating companies. Company Staff - 1378 people. The Analytical Department of TradeBacking.com (TB.O) will analyze customer's business model, reputation, financial and product turnover. The Credit Committee will determine the loan size and the terms of financing. At this stage, TB.O will receive a prepayment from the customer in the amount starting from 30% of the total goods value. Then TB.O will pay 100% of the cost to the manufacturer, deliver the goods and store the purchased goods in a safe warehouse for up to 60 days. If necessary, private investors will be involved in providing financing. At the third stage, the client will buy the goods from TB.O in whole or in parts. In this case, the client will repay the amount of funding and will pay for the TB.O commissions and logistics services. Then TB.O will return funds to investors and will pay their interest. We will invest 1/4 of collected funds in the project launch and the road-show for venture capitalists. If VCs are not ready to invest in our project, we will return 3/4 funds to early investors. We will distribute 8% of the project security tokens among the seed stage investors. When the Soft CAP is reached, it will make two tokens per one invested euro. When the Hard CAP is reached, there will be four tokens per euro. The nominal price of the token is one euro.